Last Monday, I went to have new glasses made. The pink one I've been using since law school began suddenly disappeared, unfortunately, during finals week last semester. And while I'm not entirely blind without them (I only have astigmatism and a bit of near-sightedness), life is a bit easier when the world isn't as blurred and I don't have to squint my eyes to read. It was a fascinating place of history, music, poetry, and perfect vision. She glides across the room like a forest sprite and talks in a voice so comforting, almost like an ethereal being. Flowers literally adorned her hair on the day I went to visit, and the pink skirt she wore flowed gracefully down her thighs like a soft petal. She was cool and kind and very engaging. And she was great at what she does. She did magic on my eyes quicker than you can say oculus reparo. When it finally came down to picking my frames, I ended up choosing by instinct - which usually meant going for the pink one, or the one that seemed like it called out to me first. Mine ended up being both. It had a rose-gold body with pink temples. It wasn't like anything I've ever had before, but it felt familiar and comforting. It screamed Karla, even though it looked nothing like what I owned. I loved it. This isn't the first time I visited an optometrist, but it's the first time I did at an actual crossroads in my life. 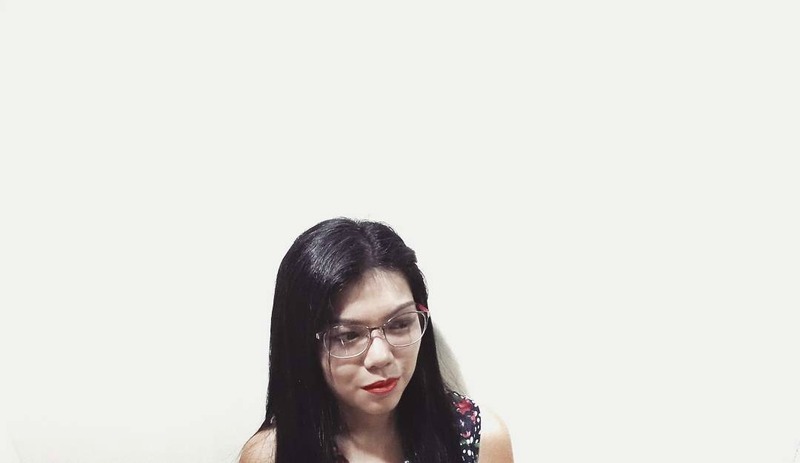 While she was asking me about my life as a student of Malcolm, and the many things law school did to impair my vision, I realized how much closer I am to actually being released into the real world. Law school is, in many ways, an alternate universe equally harsh, or probably even worse, as the real world itself. But for the last four years, we were all still shielded from what was outside its four walls. Sure, we read about current events; sure we discussed the issues. But our lives were confined to the rigors of school, and our worries were primarily anchored on the fact that we needed to study and survive. We moved our schedules around exams, we deliberately gave up social life for acads. We studied tax, but we didn't have incomes yet. We learned about family law, but marriage was lightyears away. Law school is the here and now - at least that was the case for the last few years. Until it isn't anymore. Granted, I'm graduating later than expected. That gives me a bit more time. But nevertheless, in your fourth year, the light at the end of the tunnel is more than just a faint glimmer now; it's an illumination. It's like finally having a helmet slowly removed, seeing the world again with no filter, and hearing the sounds of the streets clearly and un-muffled. I'm not yet at the end, and yet I also can't help thinking that it's all so close. The F's are slowly becoming P's. The D's are turning out to be O's. My vision's being realigned again, slowly adjusting to seeing the world again through new lenses. Am I going to like the view? I still can't say. Unlike my actual eyeglasses, which I was able to pick up just about a day later, I'm still not sure what will become of me once I emerge into the real world, having had my vision "impaired" (but in many ways also "repaired") by law school - and the many ordeals that came with it. My eyes have seen so much, I've always believed, after all the jurisprudence I've read, and yet I feel like I've seen so little. Of the world, of the people, of life. After all the calibrations law school did to my vision (and to my person), how much of my senses have improved? The questions I asked myself while at the optometrist's chair seem like the same questions I will ask when the real world lenses kick in. How will I look? Will I get dizzy? Will it take some adjusting? Is there such a thing as "too clear"? Will the floor seem like it's floating when I look down? The answer won't be simple nor will it be easy. But if anything, I hope it's as comforting as the glasses I eventually went home with last Wednesday. They fit just right, and I look great in them.